Luke Richmond was a fat kid. There is photographic proof, but it’s under lock and key in the safe hands of his mom. 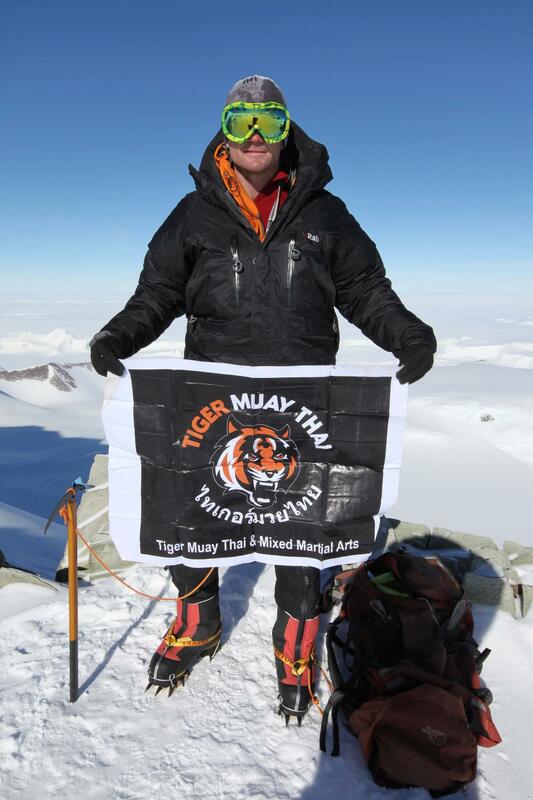 It’s a fact most people find hard to swallow looking at the ripped 27 year-old Tiger Muay Thai Crossfit coach, who is also a personal trainer and extreme mountaineer. Having just climbed Mt. Vinson in Antarctica in his quest for the seven summits, his childhood as a chubby child in the outback of Australia is far behind him. Vinson makes for his fifth summit, having already scaled Denali in North America, Aconcagua in South America, Carstensz Pyramid in Australasia and Kilimanjaro in Africa. Up next is Mount Elbrus in Russia with Mount Everest rounding out his adventures. His quest, however, isn’t about fame and fortune. Whether he’s hand-feeding hyenas in South Africa or running through the streets of Istanbul in pink speedos, Richmond’s mountains are just the tip of the iceberg when it comes to his life of extremes. The athlete is also completely addicted to Crossfit and will be competing in the Crossfit World Games. It’s an event that sees five workouts released online over five weeks. Workouts must be done to exact specifications with the fastest times moving forward within their divisions. The top forty competitors from around the world will meet in LA to compete for up to a million dollars in prize money. Always eager to introduce new faces to fitness, Richmond says he wants to pass on as much as he can. Sound advice coming from a former fat kid.